Some things are annoying by their very nature--spam, your in-laws, comedian Gilbert Gottfried. But when the annoyances stem from stuff you've paid for or products you rely on to get things done, that really takes the cake. Unlike PC World's 25 Worst Products of All Time, irksome products aren't necessarily bad, buggy, or dangerous. But they all have one or two traits that make you want to wrap them in 200 pounds of steel cable and toss them off the side of a boat. From stupid features and rude behavior to brain-dead design and poor corporate policies, these 20 products have truly annoyed us over the years, and some continue to do so. This list hardly covers every annoying tech product ever made. But where did this list of 20 come from? You picked the worst ones by voting in our Annoyances Poll, and you'll see your Top 10 most annoying products flagged with icons. Just for fun, we've added 10 more products that didn't get enough votes from you in our poll but that we found particularly irksome. It's still possible, though, that a product not listed here or in our reader survey really got under your skin, so please post a comment below. If nothing else, you might feel a little better. Readers' Poll: What's Your Most Annoying Tech Product of All Time? As our #1 worst product of all time, America Online gave all of us plenty to be irked about over many, many years. 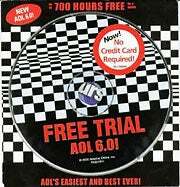 But the carpet bombing of free AOL discs was possibly the most annoying (and environmentally irresponsible) marketing campaign ever waged. Estimates put the number of discs shipped between July 1993 and July 2006 at over 1 billion; we feel like we received that many ourselves. BobMac says: The biggest AOL annoyance shows up when you do the math. They offered 1099 free hours, but you had only 50 days to complete your time. 50 days = 1200 hours - the 1099 free hours = 101 hours of free time, which is 2.02 hours per day of the 50-day trial. When you factor in the reboot time to get back on after AOL kicks you off, there isn't even enough time to go to the bathroom for 50 days. No wonder so many people hate AOL. argiiod says: While I have no love for the thieving folks at AOL, I still have to thank them for all the free discs. I use them to decorate everything from my computer room to the cockpit of my RV, and I make "computer" clocks out of them by simply adding battery-operated clockworks (believe it or not, these kitschy items still sell like hotcakes at flea markets, swap meets, and yard sales).